Maria Mendez, in blue, surrounded by her legal team from Project for the Innocent at Loyola Law School. Photo source . 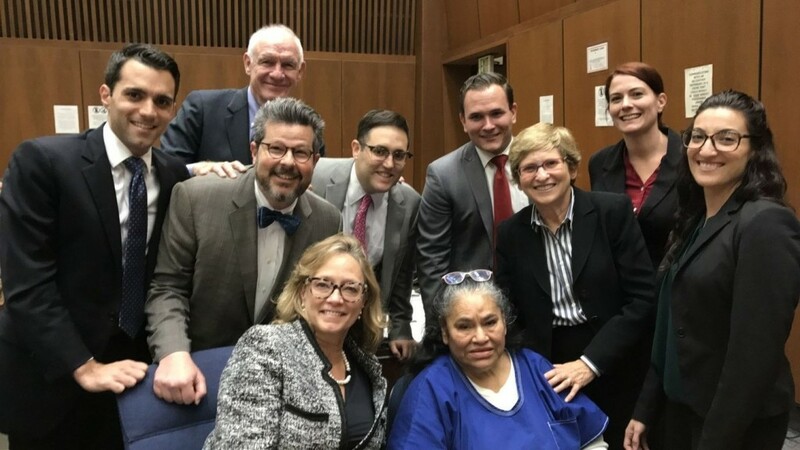 The Los Angeles Times is reporting  that a grandmother was freed from prison this month after Loyola Law School’s Project for the Innocent became involved. Maria Mendez spent the last 11 years of her life serving a 25-year sentence for the death of her 9-month-old grandson. She had been convicted of Shaken Baby Syndrome, but attorneys and law students who fight for people who are wrongfully convicted took up her case, pointing out medical evidence that was not considered by the court. 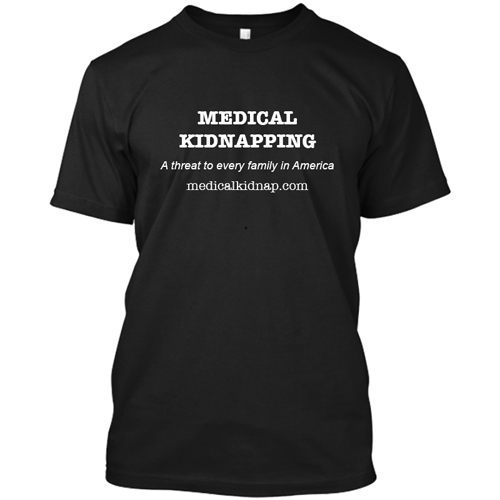 In most medical kidnapping stories we cover, no criminal charges are ever filed. The children are seized, placed into foster care – usually with strangers, and the parents sometimes lose custody permanently, even though the parents or grandparents are never charged with any type of a crime. In each of the three, there is frequently a valid medical reason for the child’s injuries, but that reason is often never presented as evidence in court. In these cases, as well as in many cases that do not involve criminal charges, there is almost always a Child Abuse Specialist doctor involved. As we recently reported, courts frequently ignore the reports of medical experts and specialists, elevating the reports of the Pediatric Child Abuse Specialist to a higher status than that of other experts. 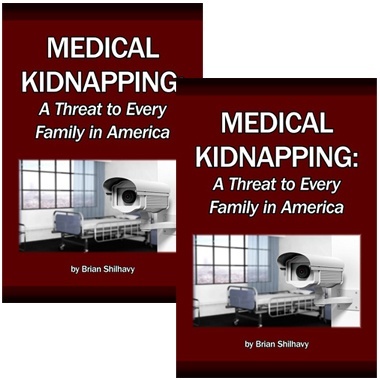 There are thousands of cases nationwide in which someone went to prison for child abuse based largely, or even solely, upon the testimony of Child Abuse Specialist doctors while other valid medical explanations are ignored in court. Programs such as Loyola Law School’s Project for the Innocent  and The Innocence Project  seek to free people who are wrongfully convicted of crimes. Hundreds of people across the United States have been exonerated through the efforts of such programs. Many convictions of Shaken Baby Syndrome, like that of Maria Mendez, have been thrown out or retried in recent years. 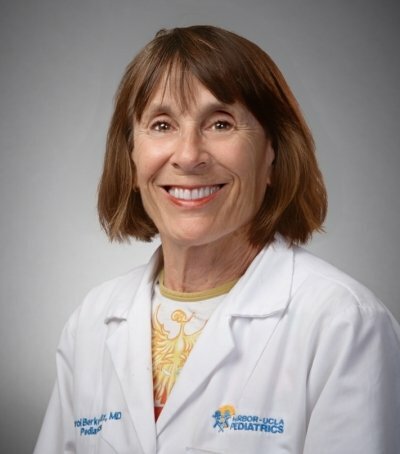 Dr. Carol Berkowitz is the Director of the Child Abuse Fellowship at Harbor-UCLA Medical Center. At one time, she served as the President of the American Academy of Pediatrics. She is part of the Helfer Society  – an elite group of doctors involved with Child Abuse, and in 2014, she won the society’s highest award. Even today, Dr. Carol Berkowitz refuses to back down on her assertion that the grandmother abused the baby. Other doctors disagree, but she was the only doctor to testify 11 years ago. Photo source . 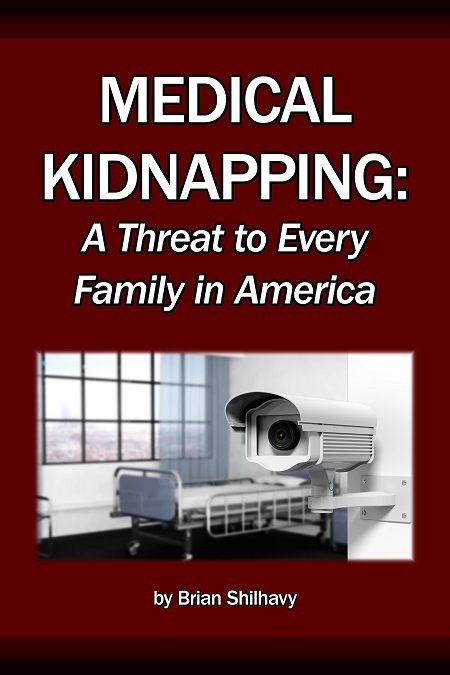 Despite her many accolades, Dr. Berkowitz, like her Child Abuse Specialist colleagues, failed to consider alternative explanations for the injuries sustained by the grandson of Ms. Mendez. The testimony that she gave reflects the junk science beliefs involved in Shaken Baby Syndrome. “In your medical opinion, was the injury to Emmanuel caused by shaking?” the prosecutor asked. The prosecutor then asked how violently a baby would need to be shaken to cause brain swelling. A woman who spent 11 years behind bars in connection with the sudden death of her 9-month-old grandson has been freed from prison after new evidence revealed that the death may have been accidental. 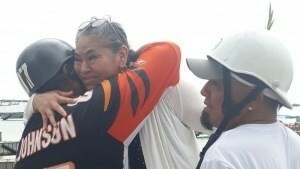 Maria Mendez hugs family members after her release from wrongful incarceration. Photo source . Maria Mendez — whose release from custody was made public by her attorneys Wednesday [July 11, 2018] — always maintained her innocence, vowing that she had not hurt her grandson, Emmanuel, before he collapsed and stopped breathing in December 2006. “Finally, I have my liberty,” said Mendez, 64, who got out of prison last week after a judge vacated her old conviction as part of a larger plea deal. Under the agreement with Los Angeles County prosecutors, Mendez pleaded no contest to voluntary manslaughter, but was released since she had already served the maximum 11-year sentence. Prosecutors said they stand by medical evidence presented at trial that the death resulted from abuse. However, medical experts who testified for Mendez during a recent hearing said her case and others highlight increasing doubts about accepted theories of shaken baby syndrome. Mendez was arrested and charged with murdering her grandson seven months after the baby’s death, court records show. During her trial in 2009, a prosecutor told jurors that Mendez had fallen into a depression after her husband died and became frustrated after her teenage daughter got pregnant with Emmanuel. The prosecutor argued that on Dec. 13, 2006, while babysitting, Mendez snapped and fatally injured the baby. Prosecutors called Dr. Carol Berkowitz, a pediatrician described to jurors as a child abuse expert. Berkowitz, who saw Emmanuel in the emergency department at Harbor-UCLA Medical Center in 2006, testified that she believed the baby had experienced a traumatic injury one to two hours before paramedics arrived. Mendez, prosecutors argued, was the only adult with the baby during that time. Maria Mendez was convicted and sentenced to 25 years to life in prison. Her appellate attorney, who believed Mendez had been wrongfully convicted, contacted the Project for the Innocent at Loyola Law School, which eventually championed Mendez’s case. The lawyers tracked down medical records, including a CT scan of the brain that Mendez’s trial attorney had not received, said Paula Mitchell, one of Mendez’s attorneys. Several medical experts reviewed the case, Mitchell said, and concluded that the evidence suggested an accidental death. In a 2016 declaration, Dr. Frank Sheridan, the longtime chief medical examiner for San Bernardino County, wrote that he was the only medical expert who testified on behalf of Mendez at her trial and that her attorney never asked his views on many aspects of the case. In court documents, another physician who reviewed the case, Roland Auer, wrote that an accidental fall a couple of days before Emmanuel collapsed could have caused cardiac arrest. “Dr. Berkowitz’s opinion that the child’s head injury was inflicted … rather than accidental is unsupportable by any scientific evidence,” Auer wrote. During a recent hearing, records show, a doctor with a specialty in pediatric radiology challenged the one- to two-hour trauma window Berkowitz testified about at trial. But in an interview with The Times this week, Berkowitz defended her assessment. “It still sounds right to me,” the doctor said, adding that she remains confident the baby’s death resulted from abuse. According to another national database , last updated in 2015, at least 3,000 criminal cases related to shaken baby syndrome have been filed in the U.S. over the years. Last month, in the middle of an evidentiary hearing where medical experts testified about Mendez’s case, Mitchell said prosecutors made her client an offer: They would agree to have her old conviction vacated if she pleaded no contest to two lower charges. To avoid more prison time, Mitchell said, her client agreed, pleading no contest to voluntary manslaughter and child abuse. A judge accepted the plea last month, records show, and ordered Mendez’s immediate release. Although the new charges lead to the same legal outcome — a conviction — Mitchell emphasized that her client had pleaded “no contest” rather than “guilty” to them. Read the full article at Los Angeles Times . Loyola Law School’s Project for the Innocent (LPI) is dedicated to the exoneration of the wrongfully convicted. Loyola Law School students are the heart and soul of the clinic, which is yearlong. If, after a thorough investigation of a case, a true claim of innocence is provable, clinic students will help draft a habeas petition so that the case can be litigated in court.